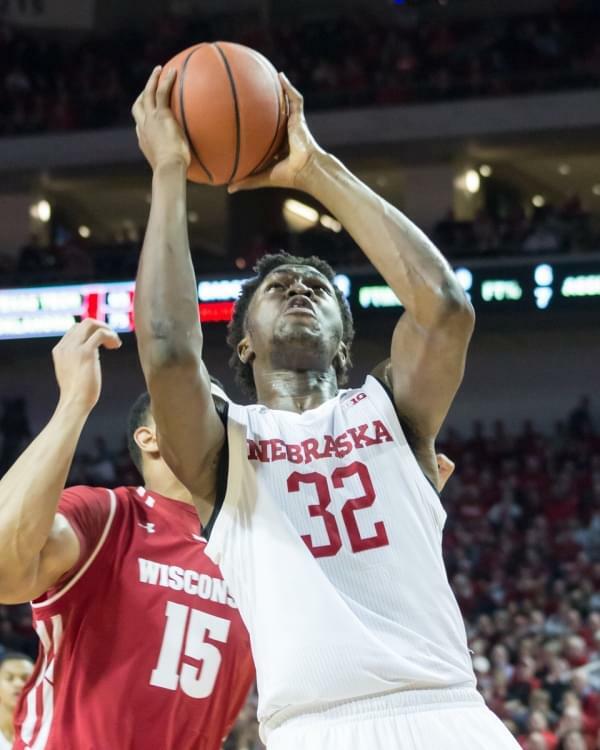 Sophomore center Jordy Tshimanga will return to the Huskers on Tuesday, according to an announcement from head coach Tim Miles on Monday evening. Sophomore center Jordy Tshimanga will remain a Husker. Head coach Tim Miles announced Monday evening that Tshimanga will return to the Nebraska men’s basketball team on Tuesday. Tshimanga had taken a brief leave of absence from the team on Thursday morning for personal reasons. He did not travel with the Huskers to Penn State on Friday, nor was he in the starting lineup against Illinois on Monday. Tshimanga started the first 18 games of the 2017-18 season, and has averaged 3.5 points and 5.1 rebounds per game in that stretch. He met with Coach Miles on Monday afternoon for about two hours.